Natalie Wood was a washed up child star. Warren Beatty was known around town as Shirley MacLaine’s younger brother. The two had so much to lose and so much to gain. 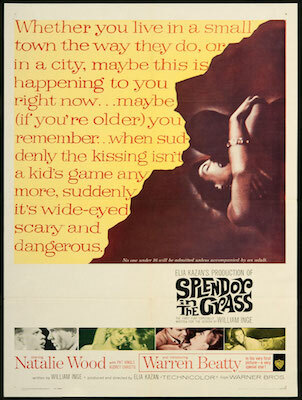 The result: Splendor in the Grass. Wood is heartbreaking as the fragile and beautiful Deanie Loomis whose love for the rich and also beautiful Bud Stamper (Beatty) drives her to madness.